This entry was posted on September 4, 2018 by chris elliott. Light coloured bamboo flooring is a very popular choice. It easily and naturally adds a brightness to any size or style of room. A lighter coloured floor is perfect if you want to lighten up a dark space, or if you have a darker colour scheme. 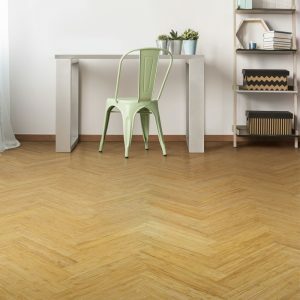 It gives you a clean and minimal feel, along with the knowledge that you have purchased an eco-friendly floor. We would always recommend that you order some free samples of our bamboo flooring. This will help you to see the colour in the light of your own home, rather than from a picture. How is light bamboo flooring made? Light bamboo flooring is made using the natural colour of bamboo. When you think of bamboo, you probably think of the outer green hard shell. This is stripped away to find a golden coloured flesh inside. This is what is used to make light coloured bamboo flooring. It is called Natural Bamboo Flooring. The bamboo is cut into strips or fibres and then made into planks of flooring. For further details, have a read of: How is bamboo flooring made? While most light coloured bamboo is made using the natural bamboo, if you are looking for a particular colour then colour stains can be added. For example, if you were buying a white bamboo floor, it would be made from the natural bamboo with a white colour stain added to the surface. It would then be finished with layers of lacquer to protect it from daily wear and tear. Why choose light coloured bamboo flooring? It will help to brighten up any dull or dim space. Looks clean, modern and minimal. Ideal if you already have dark or bold furnishings or decor. Great choice if you want a calming atmosphere. It can help to make a small room feel larger.